The Ranch took a trip back to the ’70s. 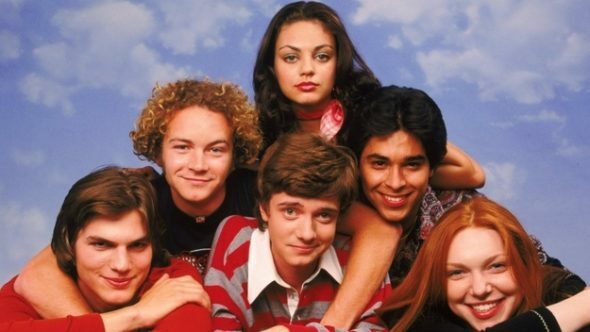 The cast of That ’70s Show recently reunited on the set of Netflix sitcom, CinemaBlend reports. The Ranch features former That ’70s Show stars Ashton Kutcher and Danny Masterson as two brothers trying to run a Colorado ranch. It was recently renewed for a second season. The only core cast member missing is Topher Grace, who played Eric Foreman on the FOX sitcom from 1998 to 2005. What do you think? Did you watch That ’70s Show? Have you seen The Ranch? Would you like to see the That ’70s Show cast guest star on the Netflix sitcom? More about: Netflix TV shows: canceled or renewed?, That 70's Show, That 70's Show: canceled or renewed?, The Ranch, The Ranch: canceled or renewed?